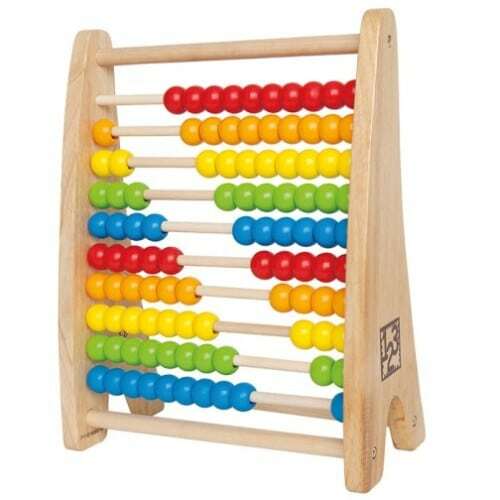 Quality made wooden abacus featuring bright rainbow beads. 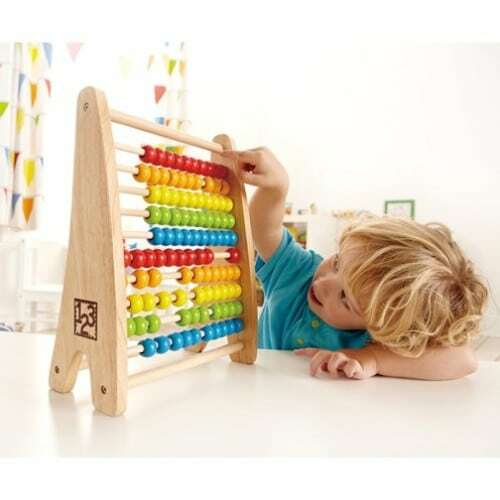 Ideal for introducing patterning, addition, subtraction and counting. Measures 32cm Height x 25.5cm Width x 12cm Depth.